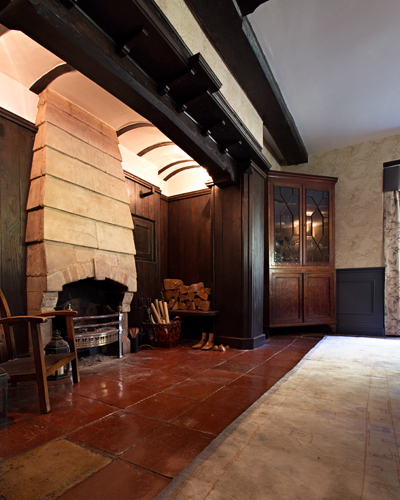 Design and Procurement of a Formal Dining room in a Grade II listed Country House. 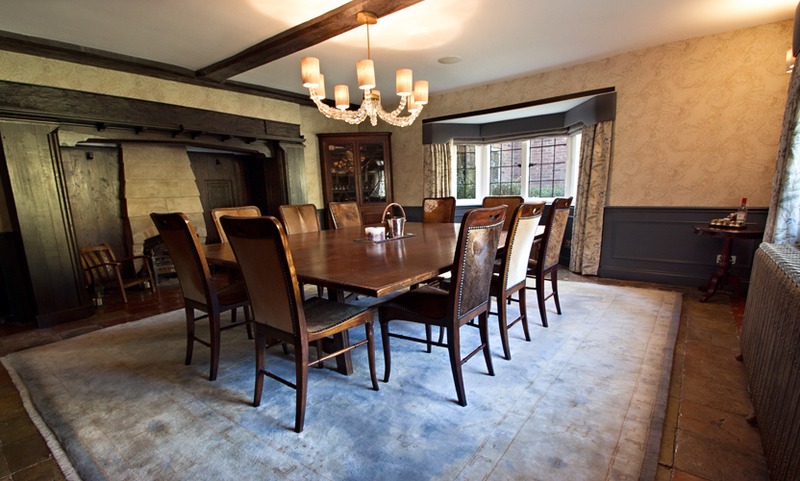 The brief was to design a traditional, country style Formal Dining Room in a Grade II listed country manor house. 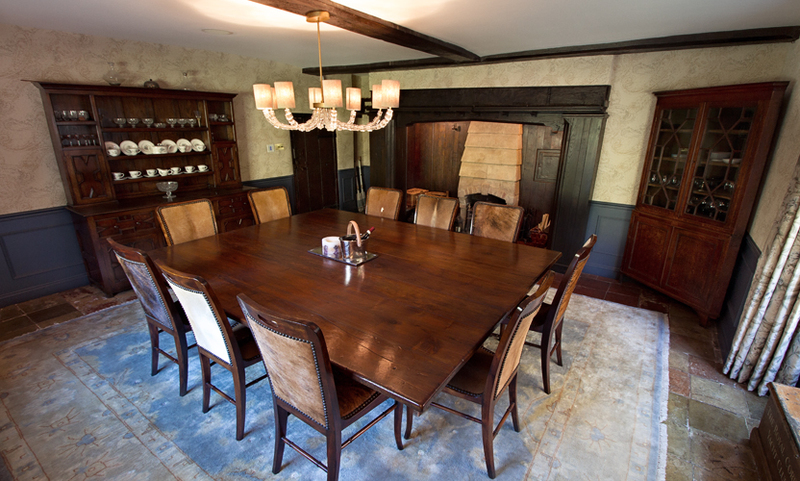 The interior of the dining room was to be stylish & elegant, but also functional as it would also have to seat a large amount of guests when entertaining, so sufficient seating and table space was essential. The overall design was to compliment the age and style of the property, but as it was for a young family it was important that it also had a sense of youthfulness. 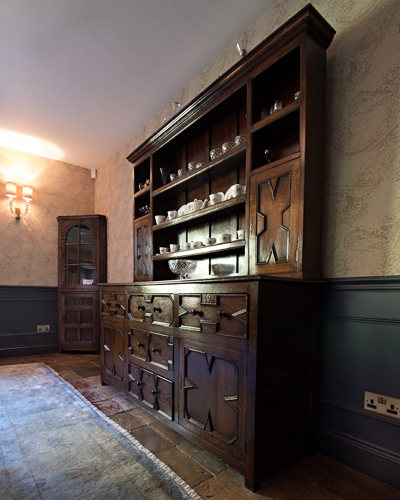 We kept the traditional side of the design by introducing antique mahogany furniture and cabinets and a traditional large floor rug. More youthful, contemporary pieces were introduced with hide-covered dining chairs as well as a beautiful contemporary version of a crystal chandelier and wall lights, complimented with a subtle textured paisley wallpaper and dado level panelling for interest and warmth.